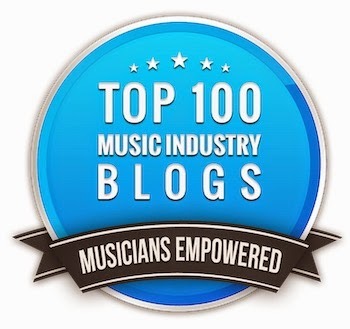 Bobby Owsinski's Big Picture Music Production Blog: 5 Best Audio Editing Apps? 5 Best Audio Editing Apps? 1. Audacity (56% of the votes) - I can see why this was chosen since it's a fairly powerful audio app and the price is right (free). Plus, it's cross platform. 2. Adobe Audition (14%) - I think that a lot of people use this because it's included as part of the Adobe Creative Suite. 3. Avid Pro Tools (10%) - The big daddy in the pro world, Pro Tools has dominated music, film and broadcast for the last decade. If you're going to be a real-world pro, use anything else at your own risk. 4. Reaper (10%) - Here's a DAW that's coming on strong. The price is only $60, and so many people rave about it that I can see it taking over as the top dog if Pro Tools should ever falter. 5. Ableton Live (10%) - If you're making or working with electronic music, then Ableton Live is the center of your universe. If electronic music isn't on your radar screen, then probably neither is Live. There was also honorable mention for Goldwave, which I wasn't even aware of, and Soundforge, which as noted in a previous blog, is coming to the Mac soon after a long run as a PC-only app. So now it's your turn. Think the survey got it right? Oh, and if you decide to purchase any of the above workstations, help support this blog by starting from this link. For Linux and Mac users, Ardour (0) is another viable option. Additionally, I believe Ardour is free (licensed under the GPL) for both platforms. Paul Davis (lead Ardour developer) has also work with Harrison to develop an exciting product called the Harrison Mixbus (1). Mixbus leverages the Ardour platform and Harrison's effects and is available on Windows, Mac, and Linux but requires compensation. What about Wavelab, Cool Edit and Soundforge? Yes, that's about what i would expect, but the Reaper was a surprise. Am really glad to see it's catching on so well. I have used Audacity for years, and it's still a go to app for quick and dirty jobs. that's about right, by my estimate. 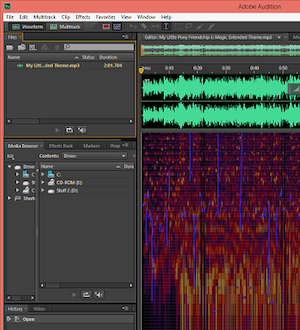 Audacity is still a go to app for quick and dirty jobs for me, have been using it for years. glad to see that Reaper made the list. Soundforge for me, for some elearning stuff I do. You cold make a survey using some easy and perhaps, one of the best online survey tools such as SoGoSurvey and find out what is on the list for your readers. @ Jef Knight: Adobe Audition is Cool Edit, renamed after Adobe bought it a decade ago. was done using magnetic tapes and analogue microphones. Nowadays, voice editing is done digitally using specialized equipment and software. Nice dismissive analysis of Audition. I've used it all the way back to Cool Edit, wouldn't change for the world.